If you are still looking for a reason to become a juice lover, we have one good one for you, and it is "Apples". With more than 2,500 apple varieties available worldwide, you can be sure that you will never get bored by repeating the same flavor again and again. To help you find the best apple for juicing, read the recommendations given in this article. If you want lots of tasty juice per fruit start with some popular varieties like Gala Apples, Fuji Apples, Granny Smith Apples, Golden Delicious Apples, and Red Delicious Apples. Gala Apples and Red Delicious Apples are great options for juicing as they contain a high number of antioxidants also. The Granny Smith variety will be a good choice if you are looking for a tart flavor. Gala is fast becoming the most preferred apple variety of US. It is mildly sweet and available throughout the year. It has flavor with a tinge of vanilla and gives a floral aroma. From outside, these are round with stripy red blush on a light golden yellow background. From inside Gala apples are crisp and firm with light cream to yellow tinge. This variety has an early harvest date. 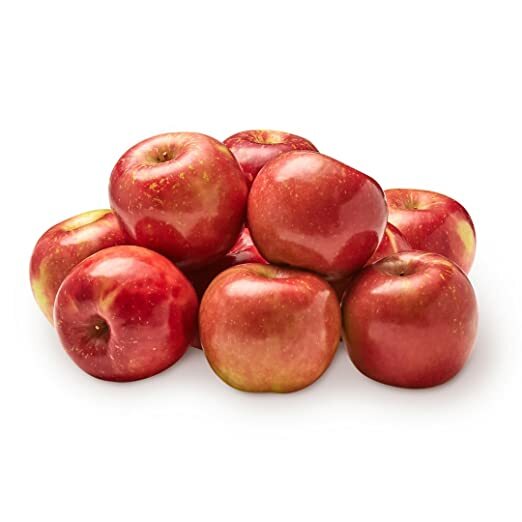 They are a little smaller in size than other apple varieties, one of the reasons that makes them favorite among kids and to be eaten as a snack, anytime, anywhere. They can be used in salad, baking or for freezing, etc. But, their best use is juicing. It is one of the best apples for juicing. 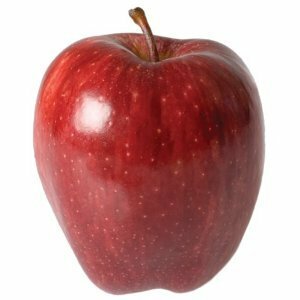 After Gala apples, Red Delicious apples are another most common apple variety in the USA. This variety was first discovered at an apple orchard in Peru, Iowa in the year 1870. It is a medium to large size variety, with a mild sweet taste, deep red color and has high nutritional content. 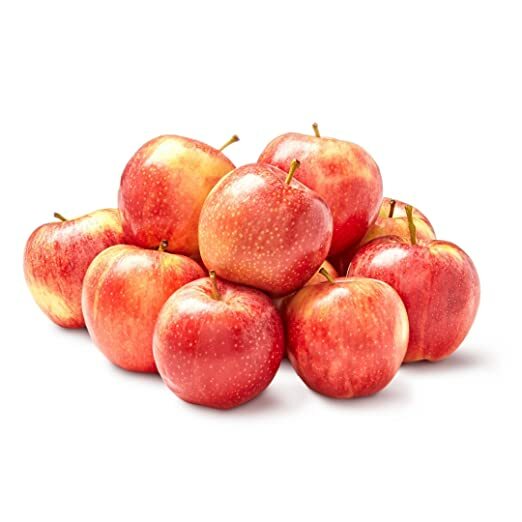 Though this variety is losing its shine a bit since 1980 mainly due to over cultivation, its low price makes it one of the right choices for being the best apples for juicing, as you will get a glass full of juice at a relatively lower cost. Usually, one can get 1 cup of juice with three no medium size Red Delicious apples. Fuji apples also havetheir place among the ten most popular apples of US. They started their journey from Japan in 1960, where they were produced by mixing Ralls Janet and Red Delicious varieties. Despite its origin in Japan, today the US provides more Fuji apple variety than its home country. The long shelf life of this variety makes it the best choice for buying and storing in bulk. They usually are quite juicy and larger. If you like your juice a bit sweeter, then go for the Fuji apples. They are one of the most delicious apple varieties. 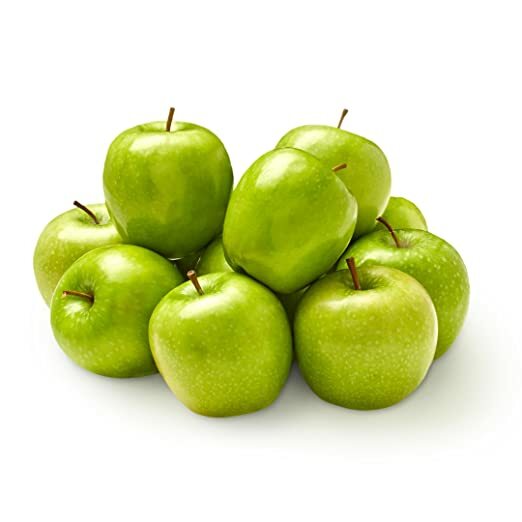 Granny Smith variety is famous as one of the best apples for juicing among health enthusiasts for its low sugar content. This variety originated from Australia in mid-1800, and since then it has traversed the world to reach the US market by 1970. It is bright green from outside and has a tart acidic taste. If you want your juice to be sweet, then Granny Smith may not be the best choice for its tart and acidic taste. However, you can use them in combination with other varieties to experiment and get different flavors. Use of Granny Smith apples in a juice with other green vegetables to balance out the bitter tastes and provide a good amount of potassium and anti-oxidants. If this is what you are looking for, then Granny Smith is your best apple for juicing. If you love your apple to be mild and sweet, then go for Golden Delicious your apple variety. It is also called "Apple Lite." It gives buttery honey taste. This apple is good for making apple pies and crisps when used mixed with Granny Smith varieties. It is one of the great tasting apple available all year round. Though both Gold and Red varieties are delicious, they are not at all closely related. Surprisingly, there is no clarity on the Golden Delicious parentage, and it was first discovered in early 1900 in Clay County, West Virginia. This thin-skinned apple variety has yellow exterior, silky interior with white flesh that tastes mildly sweet. They are best eaten fresh, in salads or for baking. It improves immunity and thus the healthy body. Apple juice is also favorite of kids for its great taste. A glass of apple juice is enough to provide you with the daily dose of potassium, vitamins, calcium, and magnesium. It is also high in pectin and fibers to improve digestion, and metabolic rate is thereby increasing the energy levels. It enhances immunity and saves you for many common infections because of the high content of phenolic compounds. There are thousands of apple varieties in vivid colors and enticing tastes that are grown all around the world. Some are red, someyellow and yet some green. Some taste sweet, some tart and again some sour. But they are all full of vigor and vitality to keep your body and mind healthy and kicking. You can get up to 77 kcal of energy from a small apple. They are rich in Vitamins as A, C, B-12, and D.
Apple Juice is rich in dietary fiber. They are high in calcium, iron, potassium, and magnesium. They have a good content of anti-oxidant compounds. Now, this is the time to choose who is the winner of the title “best apple for juicing." Our favorite is the Gala variety. It is a cross breed between the Golden Delicious and Kidd's Orange red Apples and with the goodness of both. They are available all-round the year. They are cultivated throughout the world. Gala apple tree can easily be grown in home orchards, provided you have the required space. They have an attractive exterior with red-blush on a pale yellow background. They have great taste with a balance of sweet and tart, with a tinge of vanilla. It makes them great for smoothies and mix juices. Due to the great supply they are also cheap compared to other varieties. So, for us, Gala apple is the variety that scores well above other apple variants if you are looking for one of the best apples for juicing. What are you waiting for? Buy and good juicer and start your journey to excellent health.